When you want to update your bedroom, or have moved into a new home and need your bedroom to correspond with the design and architectural style of the rest of the house, then purchasing a bedroom set is a great idea. You can get a bed, a dresser, mirror, chest, nightstand, and other multi-function pieces each matching perfectly and made from quality, attractive wood. You can choose from a wide range of styles, or you could even have customized pieces handcrafted by Amish craftsmen. One of the main benefits of getting a bedroom set, rather than purchasing each piece individually, is that you will have all the pieces that you need for your storage needs. A set of bedroom furniture will all match perfectly in style and color. Our sales staff can help you in your search for just the right pieces. It also can save you money by buying a group and having it delivered all at one time. If you can’t find exactly what you are looking for in our store, you can special order the pieces for your specific needs and preferences. 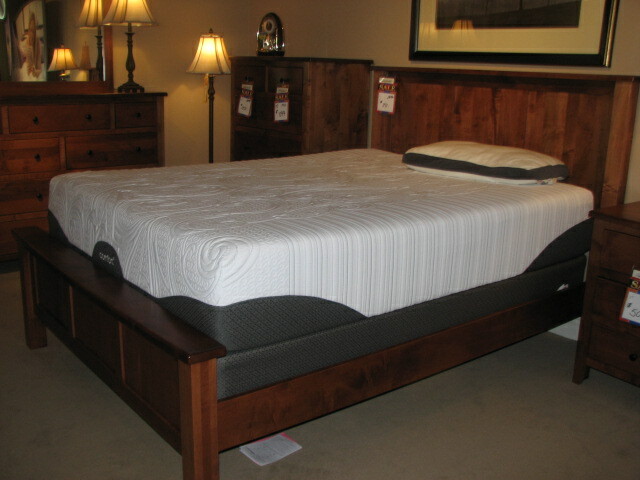 Visit our Kalamazoo store or call us today to understand your bedroom set options!